Everyone has something to keepsake. In my home, I have a system for organizing award certificates, documentaries, playbills, personal notes, letters and special photos. I purchased a three ring binder (3" size) and filled it with a box of medium weight plastic sleeves from a local office supply store. As I received each memorabilia, it gets inserted into the 8 1/2 x 11 plastic sleeve which keeps everything in chronological order. I created a binder for each of my children that documented all their achievements from Pre-School through High School. This was a great reference manual when it came time to apply for colleges. Certificates received for achievements, community service letters, report cards, school photos, playbills were kept in order and available at their fingertips. This is also a great idea for your recipes and local restaurant menus. When space is limited, creating a multifunctional room is a solution that can accommodate several needs. In small spaces, it's important to keep things simple. 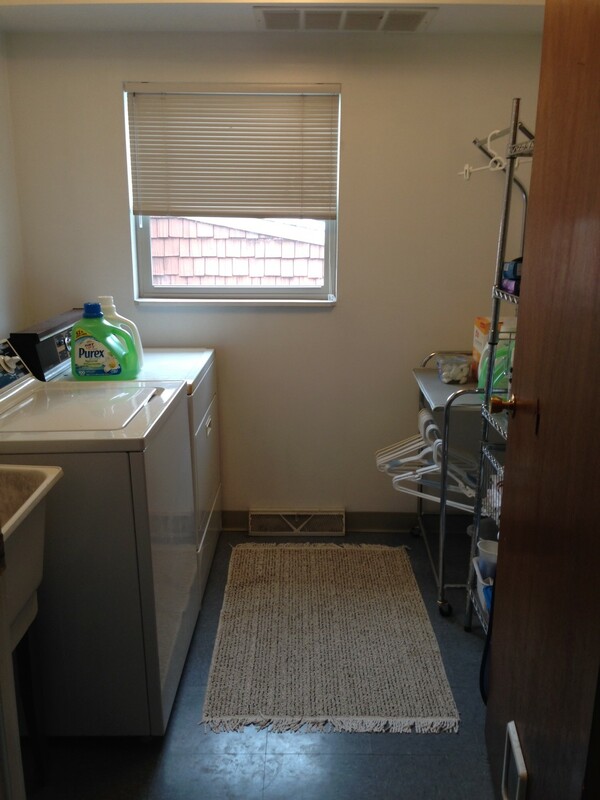 This 7'x7' laundry room is located centrally on the first floor of the home and can be transformed to share as a babies changing room. 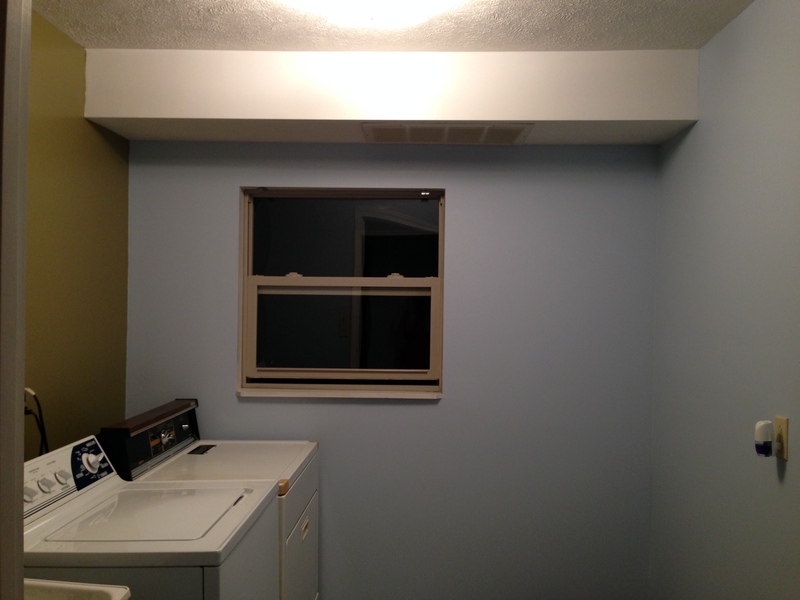 Freshly painted walls with and accent color gives the room a new glow. A contrasting faux wood blind gives privacy, light control and a design feature. A small room allows for no wasted space, so make good use of vertical and horizontal surfaces. Custom laminated shelves are flexible for storing cleaning products and totes for baby items. 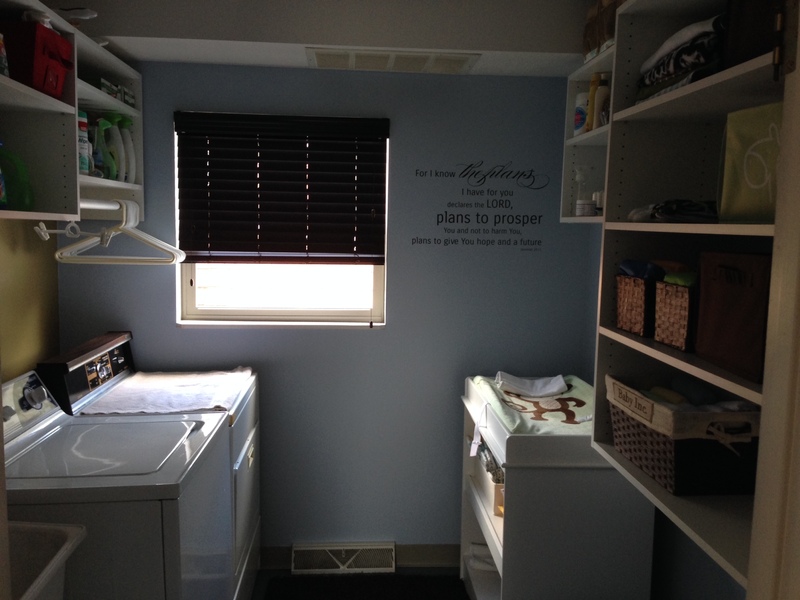 A changing tables fits nicely opposite the laundry appliances. Cloth diaper changing is convenient with the utility tub just steps away. Finish off the room with a plush runner on the floor and this space is ready for multiple purposes. Materials: 2 gallons of paint, custom laminated shelves, faux wood blind, totes, and a plush runner. Cost: Under $1,000.